The Symphony Orchestra, the largest instrumental ensemble in the school, offers the opportunity for group study to players of any orchestral instrument. The ensemble exposes boys to traditional orchestral repertoire as well as lighter, more popular repertoire. 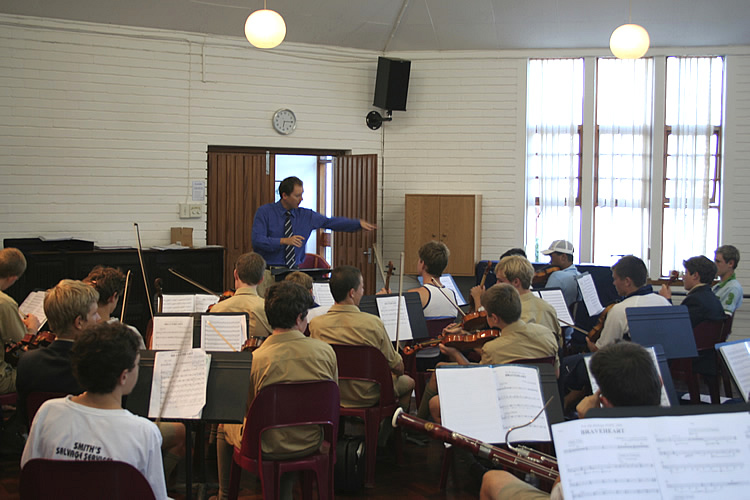 The orchestra performs regularly at school functions and events, including the tri-annual Bishops Classic Pops concerts in the Cape Town City Hall. Recent performances have included Piano Concertos (by Mendelssohn, Rachmaninov, and Gershwin's Rhapsody in Blue), movements of symphonies (by Berlioz and Mahler) and music from films such as The Lord of the Rings, Chicago and Braveheart. The orchestra rehearses every Tuesday evening and is currently directed by Joc Wrensch, one of the full-time music staff. 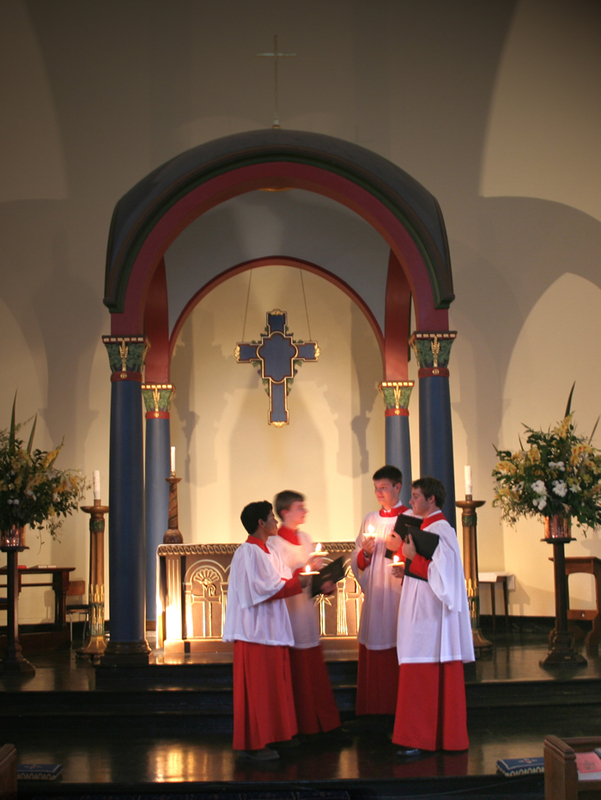 Music is an important element of daily chapel worship, and the school is renowned for its choral tradition. Bishops boasts two choirs. The Chapel Choir is a group of about fifty boys who produce the music for College Evensongs and Vesper, Confirmation and Carol Services. 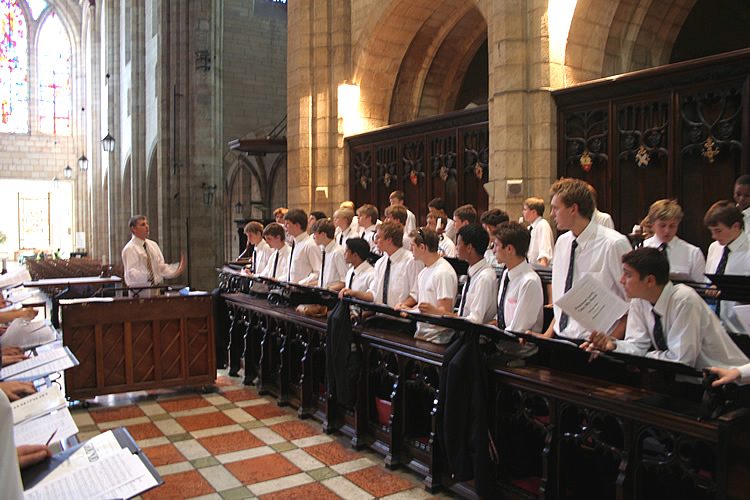 The School Choir, which consists of a further fifty boys, combines with the Chapel Choir for large-scale productions. 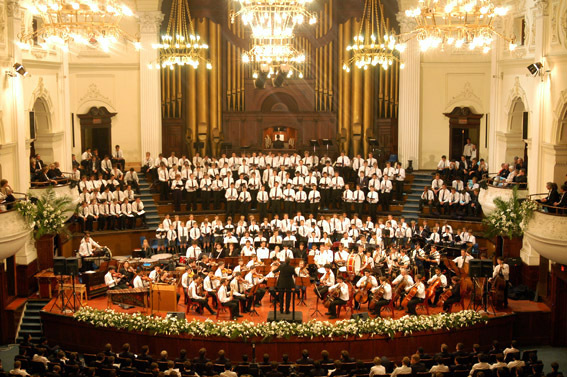 The combined choir is the main component of the tri-annual Bishops Classic Pops performances in the Cape Town City Hall. In 1999, as part of the ‘Bishops 150’ celebrations, the choir toured to England and performed in Salisbury, Winchester and St Paul’s Cathedrals, amongst others. In 2003, the Bishops Choir received awards for the Best Unison, the Best 2-Part and the Best 3-Part Choir in the Cape Town Eisteddfod. The choir has recorded many times in the past ("Tour to Russia" and "Choral Vespers") and is at present recording all the commissioned choral works from the last 10 years. Recent orchestral performances by the choir include Haydn’s ‘Little Organ’ Mass and Orff’s Carmina Burana. Besides their sacred slant, the choir also boasts an eclectic repertoire encompassing a wide range of traditional African folk music as well as contemporary ‘pop’ music. Mark Mitchell, the Director of Music at Bishops, currently trains the choir, assisted by Stephen Carletti. The Brass Band was founded by Graham Coote in 1972 and has a proud history. Stuart Scott, Head of Music at Bishops Preparatory School, is the present Band Director. The band has played at many important functions, including the 150th anniversary of the Anglican Church in South Africa, and also plays a large role in the musical life of the chapel, regularly performing arrangements of hymns. Bishops has had, and still has, a strong tradition of plying string instruments and the String Ensemble acts as a preparatory role for the orchestra, wile also allowing string players to explore the beauty of the string-only repertoirre. This ensures a continuous flow of string players, in particularly violinists, through the ranks of the Preparatory School to the College. The String Ensemble offers string players the opportunity to perform in a single unit in which the age-old tradition of string playing is instilled. The present ensemble consists of about fifteen members and includes the full range of string instruments: violin, viola, cello and double bass. There is often a continuo part played on the harpsichord or chamber organ. The String Ensemble rehearses on Tuesdays during Open Period. Lucia Scott, a violin teacher at the College, directs the ensemble. 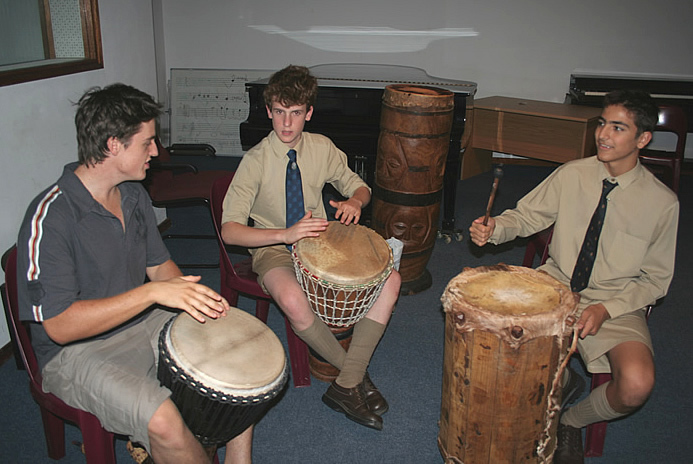 The African Marimba Band was originally founded by Gavin Coppenhall, and since 2003 has been managed by ama-Ambush Marimbas, which is run by OD Ross Johnson. The Marimba Band is ever-popular public performance ensemble at Bishops and there is a constant desire for new boys to join. The band comprises of six marimba (piccolo, soprano, alto, tenor, bass and double bass) as well as djembe and bass drums. Music ranges from traditional Xhosa songs to Africanised versions of religious and popular western songs. The Wind Band was formed by Andrea Rutter, one of the full-time music staff, in early 2004. Their first performance was at the Schools in Harmony Concert at Kirstenbosch. 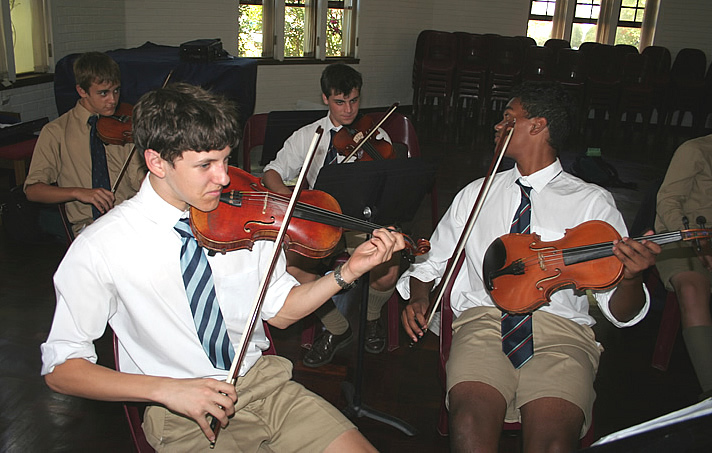 Since then, they have performed at a number of school functions, including ensemble concerts and the tri-annual Bishops Classic Pops concerts in the Cape Town City Hall. The band comprises woodwind and brass instruments as well as bass and percussion. The band’s repertoire is diverse – ranging from pop and jazz to symphonic and choral works. There are about 30 members in the band who rehearse on Monday afternoons during Open Period. It is certainly a lot of fun and there is always a great vibe amongst the members. The Jazz Band was founded in 1998 by Shannon Mowday and since its inception has strived to maintain a high level of performance and musical professionalism. The band has had many successful performances at the Bishops Pops, the Lions Club Big Band Festival, various fundraising events and school promotions and concerts. Their repertoire is diverse, ranging from old school jazz to fusion, African music, pop, Latin and rock. There is a strong emphasis on improvising in the band. Simply Blue is a small a cappella group of senior boys, all of whom are members of the choir, and they focus on lighter and secular music. They have toured internationally to places including Argentina and Greece. They are currently trained by Stephen Carletti (OD) and managed by Marion Bradley, a maths teacher at the college. They are in great demand for private functions and regularly step on the stage for entertaining supper shows.